22 The six tracks from Magne's new album "A Dot Of Black In The Blue Of Your Bliss" are available for download from Magne's MySpace. 23 Magne spends the night of 22 January painting at Oslo City Hall which will be divided into 300 pieces and used to create unique covers for 300 limited edition 10" picture discs of his new album. Stills from the painting performance are available to view in quicktime format at www.magnef.net/magnetube. 10-30 March Magne creates a snowscape with tinfoil and snow objects for the climate debate inspired exhibition "Anticlimax" at Studio Hugo Opddal in Flø, Norway. The exhibition also includes some new graphic works using black and aliminium pigment on paper plus a smaller version of the sculpture "Climax Cardgame". 15-12 April Magnes artwork "Climax Cardgame" and a new graphic series of monotypes are exhibited at Porsgrunn Kunstforening in Porsgrunn. 4 "Darkspace" is released to Norwegian radio stations and major web stores. 8 Morten is in Berlin to do some promotion. 18 Morten performs his new single "Darkspace" live on the Norwegian TV show "Grosvold" (NRK). The band with him are Kjetil Bjerkestrand, Jonny Sjo, Per Lindvall, Evind Aarset and Åshild Breie Nyhus. 19 The first episode of a 4-part documentary "Thor Heyerdahl - På jakt etter paradiset" (NRK) featuring music by Magne and Nils Petter Molvær . 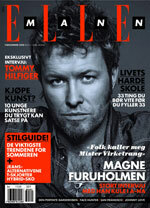 Magne F is on the cover of the Spring / Summer issue of the men's magazine "Elle Mann"
21 This month's "Elle" magazine comes with a free 6 track CD of Magne's "A Dot Of Black In The Blue Of Your Bliss". 23 An interview with a-ha about the forthcoming solo concerts and Morten's new single "Darkspace" is broadcast on the Norwegian TV show "Lydverket" (NRK1). 23-27 Magne exhibits one of his new diamond dust silkscreen prints at the London Original Print Fair. The print features the Norwegian flag turned on its side with diamond dust on the white part of the cross. 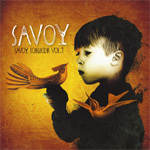 12 Savoy release "Savoy Songbook Vol. 1" in the UK. 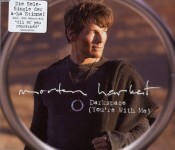 16 "Darkspace (You're With Me)" is released to music stores and is available as a download in Germany. 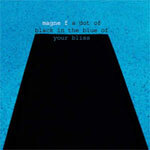 19 Magne releases his album "A Dot Of Blackness In The Blue Of Your Bliss" in the UK. 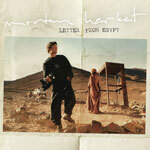 Morten Harket's solo album "Letter from Egypt" is released in Norway. Morten does a "Tett på nett" live webchat on VG's website (12:00). 21 Shortly after midnight in the early hours of 21 May, three tracks recorded by Savoy at their New York studio are broadcast on the Janice Long show on BBC Radio 2. The three songs are "Girl One", "Whalebone" and "Velvet". 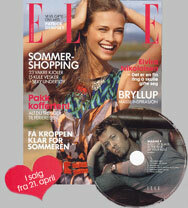 Morten signs copies of his new album at Platekompaniet in Oslo City shopping centre (18:00 - 19:30). 22 Morten Harket, Savoy and Magne F, Rockefeller, Oslo, Norway, this concert is filmed. 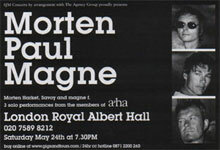 24 Morten Harket, Savoy and Magne F live at Royal Albert Hall, London, UK. The set list is the same as the Oslo shows except Magne's "All The Time", Savoy's "Best Western Beauty" and Morten's "A Kind Of Chrsitmas Card" are missing. Magne, På and Morten wear suits by Moods of Norway. 27 Morten is interviewed on the UK TV show "Loose Women". 30 Morten's album "Letter from Egypt" is released in Germany. 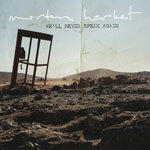 6 Morten's third single "We'll Never Speak Again" is released in Norway. 10 Morten Harket live at Münchner Atomic Café, Munich, Germany (invite only). 11 Bad Vilbel, Frankfurt, Germany (invite only). 12 Morten Harket live in Frankfurt, Germany. 14 - 10 August Magne exhibits 25 small prints (some of these were exhibited in New York, November 2007) and one large print as part of Nordisk Grafikkmønstring at Hovedøya Kunstsal, Oslo. 20 Morten Harket is one of the guests to perform at the free VG Top 20 Live show at Rådhusplassen (outside the City Hall) in Oslo (21:00). 24 Magne F live at Palace Grill, Oslo, Norway. 2-21 Sept Magne exhibits some of his artwork in connection with Festspillene i Elverum. The exhibition is held at Norwegian Forest Museum. 6-21 The annual exhibition "Vakre bord - design i tiden" ("Beautiful tables - current design") opens at Bymuseet, Frogner Hvedgård, Oslo, Norway. Magne is one of 33 artists to exhibit his works and has contributed some porcelain work. 10-12 The Point of Peace Summit takes place in Stavanger. Morten participates in "Open Port - Songs Across Walls of Separation" at the closing event. He performs western interpretations of music from various parts of the world. 10 Morten arrives in Stavanger ready for the concert. 12 Morten performs 11 songs at Open Port - Songs Across Walls of Separation, Vågen, Stavanger, Norway (Send Me An Angel, With You with Me, Darkspace, Movies, The One You Are, A Kind of Christmas Card, Spanish Steps, Lay Me Down, There are Many Ways to Die, Shooting Star, Dawn about to Break, Back to senses). 15 The first episode of "Amazon" is broadcast on UK's BBC2. The accompanying album for the series "Songs for Survival" includes "Ferreting" by Apparatjik (Guy Berryman, Jonas from MEW, Martin Terefe and Magne Furuholmen). 16 Morten's girlfriend Inez Andersson gives birth to a baby girl. 19 Magne appears on stage at a Coldplay concert in Oslo. He plays keyboards for the song "Hunting High And Low". 24 Morten appears on "God Morgen Norge". a-ha are back in the studio recording their next studio album. 23? Morten performs "Take On Me" karaoke style for the launch of the new xbox360 karaoke game "Lips". 11 Magne performs with singer Jason Mraz at the Nobel Peace Prize Concert at Oslo's Spektrum Arena. 13 To benefit Flyktninghjelpen (Norwegian Refugee Council), Morten is among the performers at the sixth annual TV2 gala "Artistgallaen 2008".